The Gap of Dunloe best travelled by pony and trap, bike or on foot, and of course the Shuttle bus!! Do you need transport to the Gap of Dunloe in the morning or if you are looking for the return journey from Kate Kearney’s cottage back to Killarney? The simplest way is the Shuttle bus. This is your best and cheapest option and we still manage to pack a little bit of extra discovery in at no extra cost. Where do I board the bus? 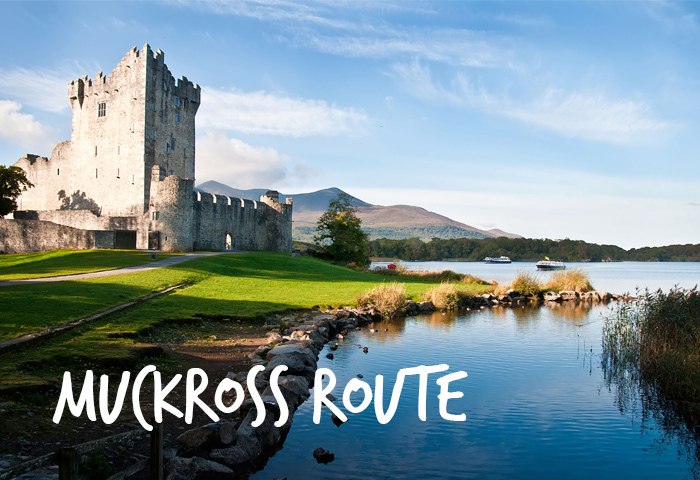 You may decide to start your day from Ross Castle in the morning and if so we may be of assistance whether to collect you from your hotel, Bus station or outside the Discover Ireland Tourist office let the shuttle bus bring you to Ross Castle and begin your adventure from here. 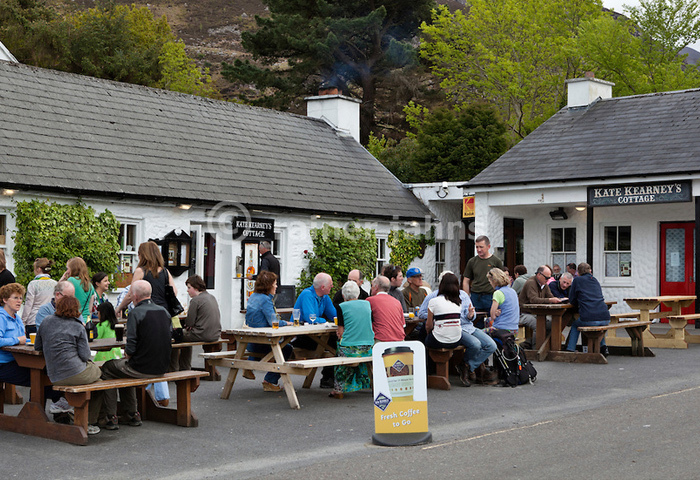 We also collect in the parking lot of Ross castle in the morning for those wishing to travel back to the Gap of Dunloe. The Shuttle bus will be waiting at Kate Kearney’s in the afternoon and return you back to Killarney Town. 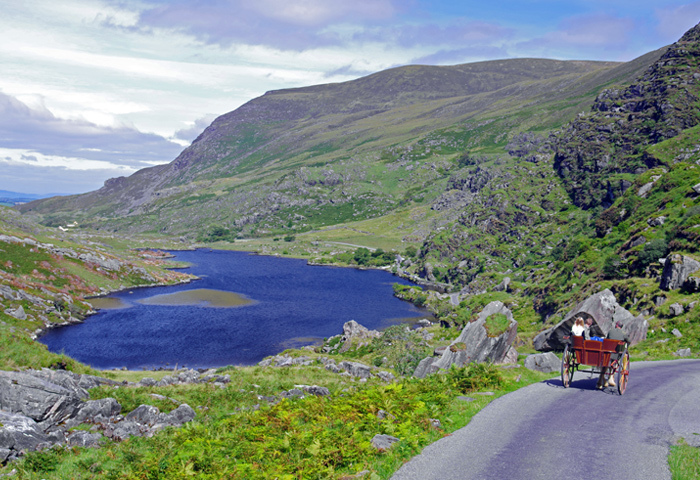 What is the Gap of Dunloe Tour? The Gap of Dunloe picturesquely located between the Purple Mountain and the McGillycuddy’s Reeks is the most beautiful glaciated valley in Western Europe acknowledged worldwide, from here you truly can get lost in nature. Be self-guided to walk (7 miles, approx 2 hour 30 mins walk) through the valley or take the traditional jaunting cars and listen to the drivers weave old stories and legends passed down from generation to generation and found in neither print nor book you transverse the narrow path through the valley until you arrive at Lord Brandon’s cottage which is a tea room where snacks, tea and coffee are served, it is a good idea to refresh yourself at this point as the next part of the journey is a 13 mile boat journey where you board traditional style open boats that will take you back to Ross Castle. The shuttle bus awaits you in the parking lot of Ross Castle should you need to return to the town centre or Kate Kearney’s cottage. 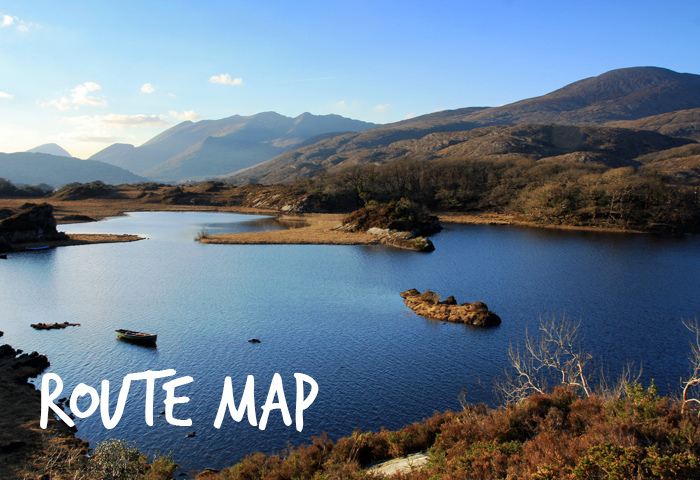 There is a reason why this trip is rated No 2 on TripAdvisor in competition with only National Park as the best visit to do in Killarney, but you truly need to discover for yourself the reason why…. All in all this is a great day out. 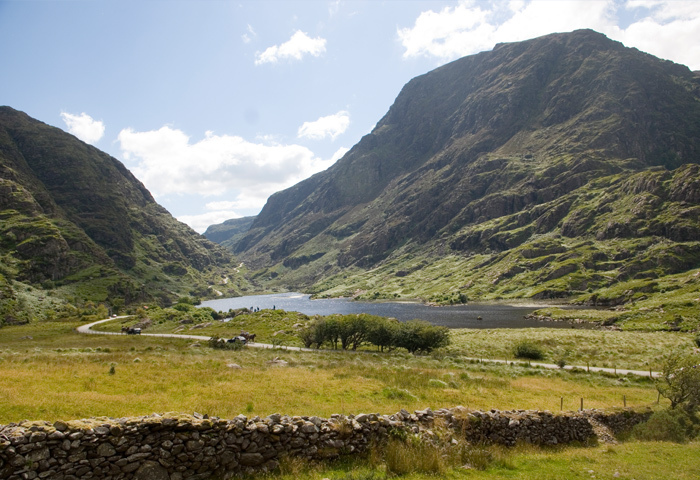 For more top tips on the Gap of Dunloe tour, please click here. The bus departs from Killarney Outlet Centre/Bus Station. Tickets must be purchased from the driver when boarding the bus. The Shuttle Bus can pick up at hotels if requested. *Children under 12 Free when accompanied with adult.